ORACAL® 8500 Backlit Translucent Sign Vinyl is yours in a stunning variety of colors for any job, project or sign work. Easily match your clinet's existing branded promotional materials to complement existing digital and printed advertising media. Get the premium quality of these silk finished, light-diffusing films and bring your internally illuminated signs to the next level. If you've got something you want to advertise, you'll do anything to catch your audience's attention. Sometimes, that means choosing bright colors for your sign or graphic, and other times, that means carefully selecting the right location for your sign. In some cases, it's as simple as picking the right materials to make your poster or graphic shine to the best of its ability. If you choose to use translucent vinyl, you'll already be halfway there. If you're a bit new to the world of vinyl, vinyl wraps and crafting, your first impulse might be to assume something with a name like "translucent adhesive vinyl" is far too advanced for you to try, and you'd rather stick with the basics for now. But don't let the name intimidate you. Translucent vinyl is easy and convenient to use. Not only that, but it can also be the difference between a sign that grabs your audience's attention and one that fades into the background. If translucent backlit vinyl sounds like it might be just the ticket for your sign, we want to empower you to feel confident enough to give it a try. 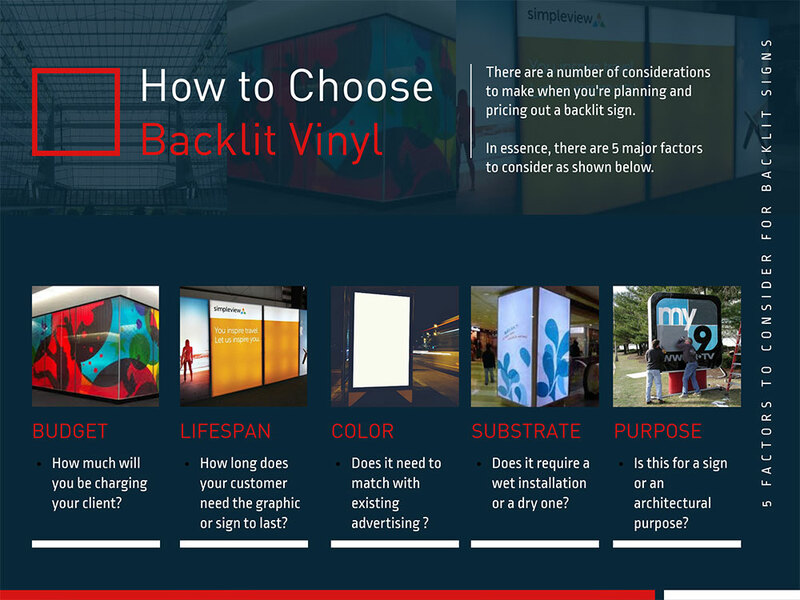 Here's everything you'll need to know about backlit sign vinyl - what it is, why it's excellent and how you can incorporate it into your projects. What Is Backlit Sign Vinyl? Backlit vinyl is specially engineered to be translucent. While your initial instincts have you picturing this material as difficult to see and even washed out, the opposite is true. 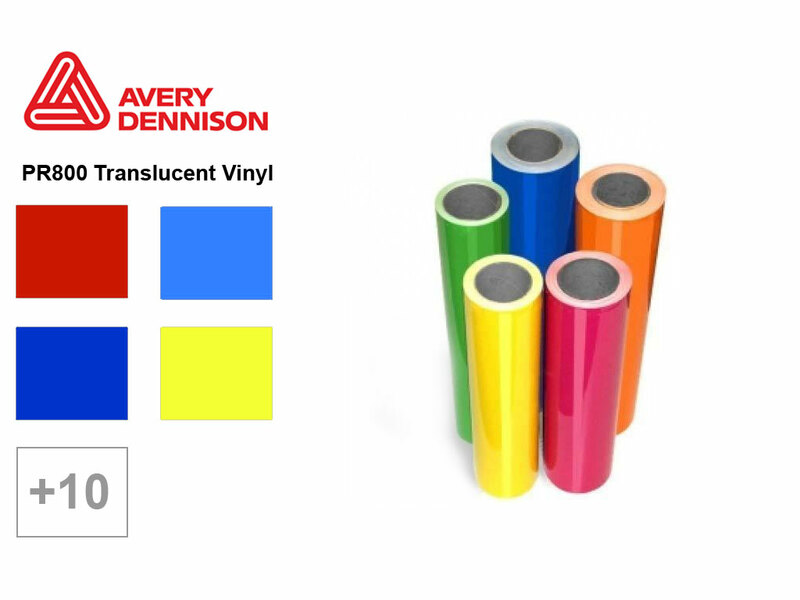 Because the vinyl is translucent, it catches the sun's natural light as it travels through, thus causing the colors and designs to stand out even more strongly than if the vinyl had been unlit. That makes any images or lettering stand out more clearly than a sign that doesn't have this feature. Of course, the daytime hours are full of abundant natural light, so you aren't worried about how bold your graphics will look all day. But what happens during the night, when it's dark out? Will anyone be able to see your graphics then? Backlit vinyl has a solution for this as well. Many signs and graphics will employ light boxes, which provide a source of light immediately behind or underneath the sign. The vinyl then captures this light and uses it to shine brightly, even when there is no natural light around. Because of this unique property of capturing light, backlit vinyl often seems like it's glowing from the inside out. During the day, this translucent vinyl looks extra bright and eye-popping. During the night, these signs will continue to shine and do their advertising work long after flat and unlit vinyl is no longer visible in the dark. Backlit vinyl is also self-adhesive, making it extremely easy to use. All you need to do is stick it to the surface you intend to cover, which can be anything from glass to a wide range of other substrates. Additionally, translucent vinyl also offers a long-lasting matte finish that looks amazing, both lit and unlit, and no matter what setting it's in. What Are the Features of Backlit Vinyl? While at its core, translucent vinyl is not very different from ordinary vinyl, there is a significant difference: Your sign will be more noticeable in the first place because it's backlit. While unlit vinyl has a limited amount of advertising power because potential customers can only see it during daylight hours, translucent vinyl can keep advertising and spreading your message all night long. No matter how dark it gets, your graphics will still be visible to everyone who drives or walks past. Even during the day, when ordinary graphics are plainly visible, there's a lot to love about backlit vinyl. While unlit vinyl looks flat and even dull under the sunlight or streetlights, translucent vinyl pops. It doesn't just sit by the side of the road, content to be looked at if a passerby happens to glance up at it. It stands out from its surroundings and grabs viewers' attention. Let's imagine there's a crowded street somewhere filled with pedestrians all trying to get somewhere in a hurry. If billboards, posters, signs and graphics line that street, it's far too much for any one person to notice them all. The busy pedestrian might see one or two specific images, but the rest will pass by in a blur that never really make a mark in the person's brain. Now imagine that out of all those signs, only one is backlit. Which one do you think is the most likely to make a mark on the person passing by? If you guessed the backlit sign, you guessed right. As an advertiser and a person with a message or a product to share, it isn't enough to be one of the other hundreds of voices clamoring for people's attention. Instead, you need to take that next step to be not just another voice, but to be the one that stands out above the rest. Backlit vinyl is one product that will help you and your message do exactly this. What Can You Do With Backlit Sign Vinyl? OK, so we know translucent vinyl is a great choice based on its visibility no matter the setting or time of day. But what can you do with it? What are some of the most common applications? In most cases, translucent vinyl is less for small-time decorating and more for serious advertising projects. We're talking about billboards, architectural graphics, illuminated signs and other large-scale advertising ventures. Think of the major advertisements you see on the sides of stores, restaurants and bars. Anywhere you can picture a large graphic that's looking to grab the attention of passersby, this is an ideal application for backlit sign vinyl. 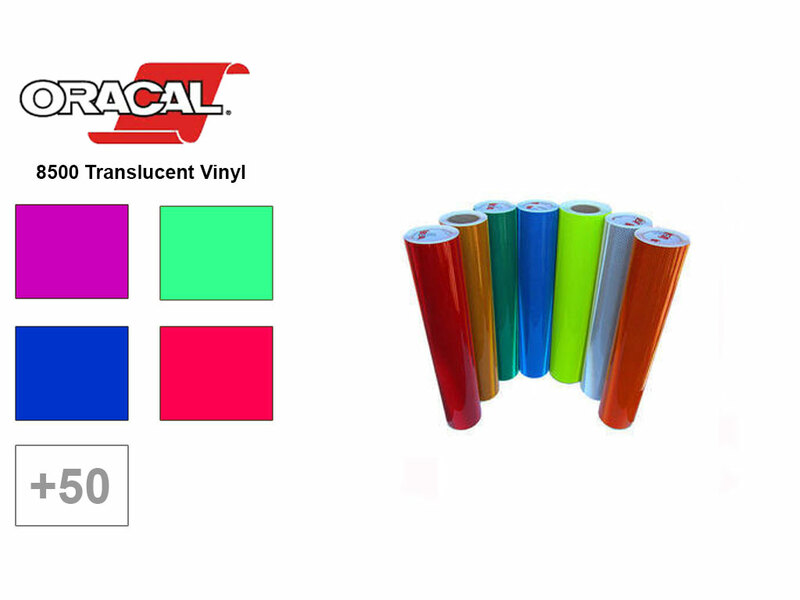 Translucent vinyl is ideal for advertising your product, your brand and your message to a wide audience and earning recognition. When it comes to large-scale advertising campaigns, no material does the job better than backlit sign vinyl. What Are the Benefits of Translucent Vinyl? If you choose to use backlit vinyl for your advertising campaign, you're sure to get noticed. In addition to the perks of a sign or advertisement that looks spectacular, here are just a few of the benefits you're likely to begin experiencing. Helping your business stand out: If you're competing against other similar organizations, and your business is the only one with a lit sign, it isn't hard to imagine yours will be the one people remember. Reinforcing your brand identity: Even if someone doesn't shop with you as a direct result of your sign, they'll be more likely to remember who you are and gain a general sense of what your brand is about. When they eventually do buy something, they'll be more likely to choose you over an unknown brand. Increasing your customer base: Some people might already be in the market for whatever you're selling, so when they see your advertisement, it might inspire them to make a purchase. Encouraging customer loyalty: If someone has visited you, bought from you or tried your services in the past, it's possible they've since forgotten. Seeing your advertisement and noticing it out of all the other signs and graphics out there, however, are likely to help customers remember and bring them back for subsequent visits. Backlit self adhesive vinyl are the ideal tools to use in designing the interior or exterior of your client's retail store or windows and is an incredible marketing communication tool. Use these films to enhance your business and show your customers just how it's done. Let's face it: when you're able to show off how these films can be used to make an attratcive and well-made sign, you'll help your business stand out from the competition, increase your customer flow and turnover immensely, while re-enforcing your brand identity to keep customers coming back time after time. Designed to increase sales, control customer flow or trigger a call to action, Backlit self adhesive vinyl can be produced for shops, bars or restaurants. The applications are endless. We'll work with you to define exactly what your location demands from custom sizes to adhesive backing and mounting with different material. Have you decided translucent vinyl is the route you want to take with your upcoming advertising campaign? We think this is an excellent choice. Not only is backlit vinyl highly effective at sharing your story with the world, but it's also straightforward to use. Before you get excited and start rushing into your project, however, it's essential to think things through. When it comes to the world of backlit vinyl, you'll need to consider many factors that will all have a bearing on the exact type of vinyl you choose. By asking yourself questions like these, you can begin to narrow down the precise type of vinyl that will be best for your application. Before you buy vinyl and certainly before you start getting ready to apply it, ask yourself how much money you're prepared to spend, where you're going to be applying the vinyl, how long you want it to last and how important color is to you. By doing this, you'll be much happier with your result, as it will help you achieve your intended goals much better than if you hadn't asked these questions. 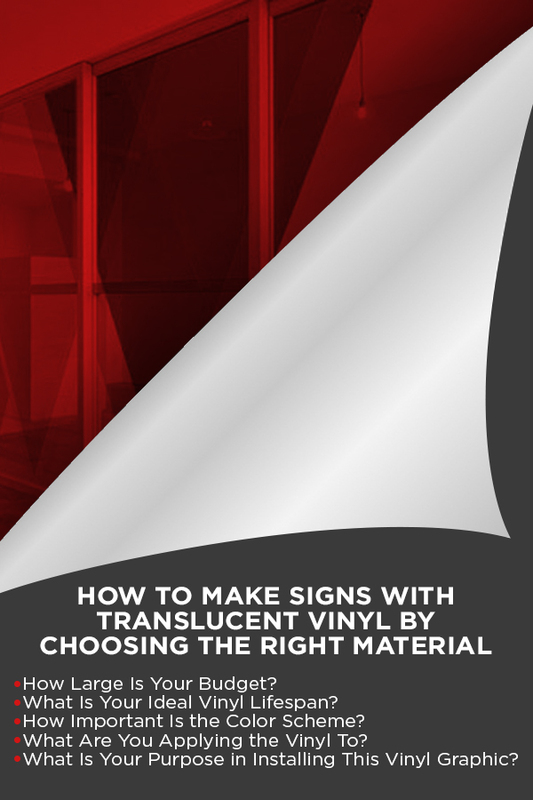 If you're considering using translucent vinyl for a project, these are the questions you'll need to stop and ask yourself. 1. How Large Is Your Budget? Translucent vinyl isn't a single homogenous category. There are many different types of vinyl within this overarching label, and each one will come at a different price point. When it comes to deciding which one is right for you, you'll want to ask yourself exactly how much you're interested in spending. If your budget is more limited, you might decide on a calendered translucent film. This variety will not last as long, but if your application is only temporary, this may not be a problem. If you have more money to spend, you might choose a cast vinyl, which will last longer and can cover more complex surfaces. 2. What Is Your Ideal Vinyl Lifespan? How long do you intend to run your advertisement? Are you only planning to leave it up for a week? A month? A year? What about 10 years? While this might initially seem like a question for the future, it's crucial to have at least a vague idea of how long you want your graphic to last, as this will determine which type of vinyl will be best to use. If you're only looking to use translucent vinyl for a short-term application, such as a poster that will come down again before too long, you can easily choose calendered translucent vinyl. If you need something that's going to be a bit more long-lasting, cast vinyl is your best bet. 3. How Important Is the Color Scheme? Are you looking to match the colors of existing advertising? If so, you'll need to give careful thought to achieving and maintaining this exact color. For vinyl that needs to maintain an exact color without fading or changing color over time, cast vinyl will be the ideal choice. If colors are something you can be a bit more flexible with, however, you can feel free to use cast vinyl. 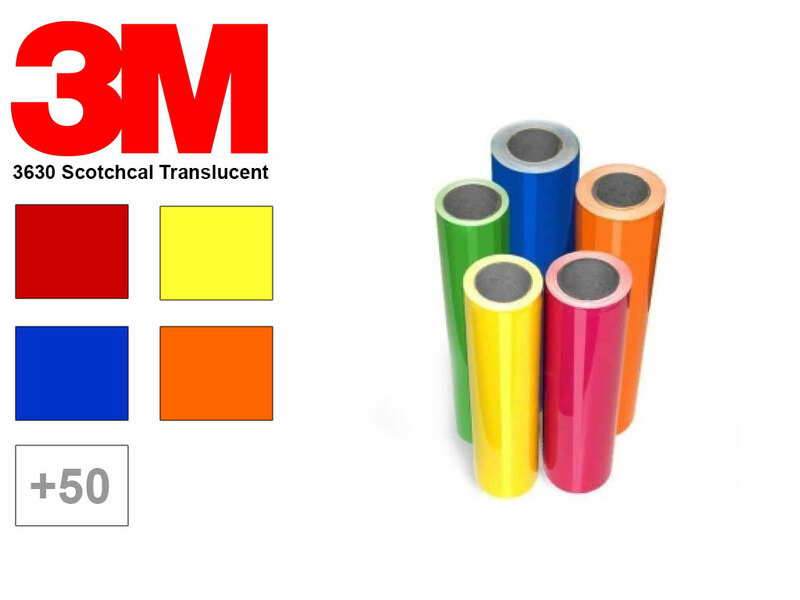 These translucent films still come in a wide range of colors, but they are somewhat less adept at maintaining an exact color over time. 4. What Are You Applying the Vinyl To? Depending on the substrate you plan to apply the vinyl to, you'll want to consider whether a wet or a dry application is more appropriate. Both calendered and cast vinyl can use wet and dry applications, but the process is different and is something you should consider ahead of time. Additionally, you'll want to look at what the surface of the substrate looks like. Is it flat or only slightly curved? If so, you can easily use a calendered translucent film. If the surface is complex, curved sharply or corrugated, you'll find cast film adheres much better to the surface and is the ideal choice. 5. 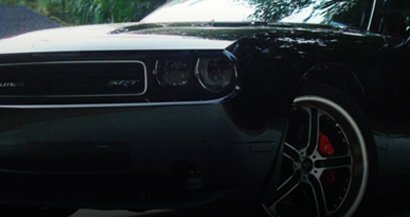 What Is Your Purpose in Installing This Vinyl Graphic? Are you looking to create an advertisement that lets plenty of light through and is clearly visible during any time of day? In that case, translucent vinyl is certainly the way to go. Are you looking for an ordinary graphic, however? Is light not a concern? If this sounds more accurate, you may not need to bother with translucent vinyl at all. Choose an ordinary vinyl instead, and this will work just as well. If you're looking to wow crowds and draw attention to your sign or advertisement no matter what time of day it is, we think you should invest in a backlit sign vinyl graphic. For its eye-catching power and memorable appearance, there's no way to beat translucent vinyl, especially if you're looking to make an impression. 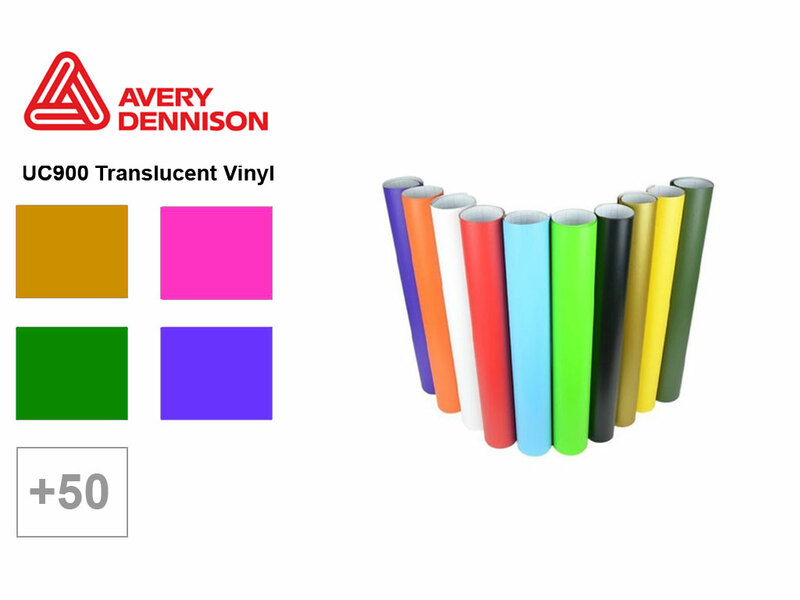 From calendered to cast varieties and options that come in every shade of the rainbow, there's a style of translucent vinyl that will work for everyone. Choose from spectacular options like 3M Scotchcal 3630 Translucent Backlit Sign Vinyl, or perhaps ORACAL 850. And of course, if you're looking for cast vinyl to cover an irregular surface or to stand against the test of time, you may want to consider either Avery UC900 or Avery PR800. Any of these types of translucent backlit vinyl would make a stunning choice for your advertisement.